The Toyota Prius is designed to shut off the engine when stopped as an energy-conserving measure. When the accelerator is depressed, it starts to back up, so you can go about your business on the road. When your Prius is in reverse and this occurs, there's a really loud beeping noise to remind drivers the car will back up instead of go forward. Although it sounds like the whole world can hear these warning sounds, they're really just inside your vehicle. For those who find this annoying, however, there is a way to disable the reverse beep in a Toyota Prius. This beeping that occurs when in reverse after an idle serves a safety function, so you don't accidentally bump into objects behind you. Bear in mind that if you disable this safety feature you need to be mindful when you are in reverse gear and do your best to prevent collisions. Warning: With the reverse beeping disabled, you may invalidate your manufacturer's warranty for repairs on anything connected with this feature. If this is a concern, be sure to consult an experienced technician to discuss the pros and cons of such an action. Note: For those year models manufactured in the United Kingdom, try asking a Prius technician to reprogram it to only beep once when in reverse. This can be done, although it is not part of Prius' policy to do so. Step 1: Depress the brake pedal and hold it there. Step 2: Press the Start/Stop button to turn on the engine. Step 3: Push the Odometer button. 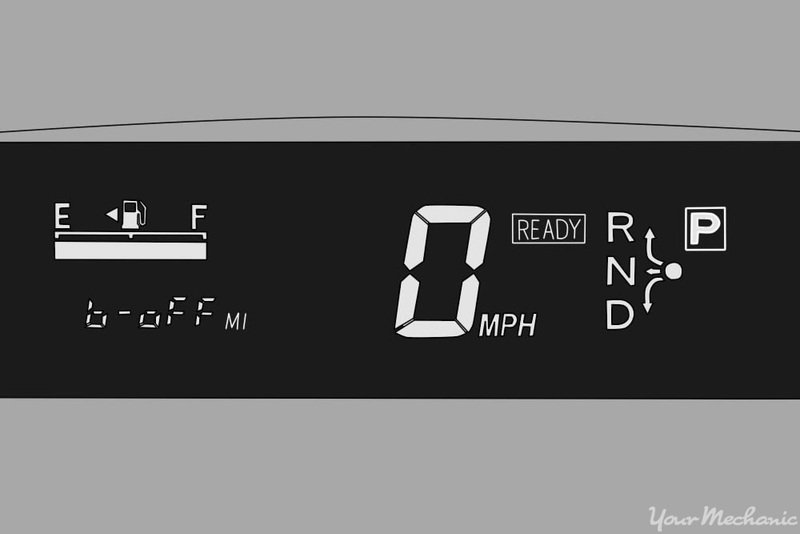 Push the button on your dash designated Trip/Odometer until "ODO" is displayed on the screen. If it is already displaying this, you will have to cycle through the options to refresh it by pressing the button a total of three times. Step 4: Press the Start/Stop button. Press the Start/Stop button to turn off the engine of your Prius. Step 5: Press the Start/Stop button again. With your foot still on the brake, press the Start/Stop button again, and your engine will restart. Step 6: Push and hold the Odometer button: Push the Trip/Odometer button again and do not release it. Step 7: Press the park button. While still depressing the Trip/Odometer button, put your Prius in reverse, then immediately push the Park button. Do not release the Trip/Odometer button until this is complete. Step 8: Push the Trip/Odometer button. Instead of the usual miles traveled on the odometer display, there should be the text "b on." Push the Trip/Odometer button until the dashboard displays the text "b off." Step 9: Press the Start/Stop button again. Press the Start/Stop button again to turn your Prius' engine off. The reverse beep is now disabled, and you will not hear it again in future trips. Tip: If disabling the reverse beep on your Prius using this method does not work, try the steps again. The timing can be somewhat tricky, but this process does work on the indicated models. In order to turn the reverse beep back on, repeat this process. Just change the "b off" display to "b on," and your reverse beep warning will be re-enabled. Note For 2010 and later models of the Toyota Prius, there are smartphone apps available, such as the Carista app for Android, which can change the multiple reverse beeps to a single one. This does not disable it entirely, but it does make the beeping far less distracting. Step 1: Locate the OBD2 port in your Prius. This is located above and to the left of the brake pedal and looks like two rows of tightly knit holes. Step 2: Plug the OBD2 adapter into the port. Step 3: Pair your phone. Make sure your Android smartphone or tablet is powered on and that Bluetooth pairing is enabled in its Settings. It will automatically pair with the OBD2 adapter. Step 4: Open the Carista OBD2 app. Open the Carista OBD2 app on your Android device, and press the option to Customize. Tip: If the Carista app prompts you to enter a PIN, use 1234, as this is the default setting. 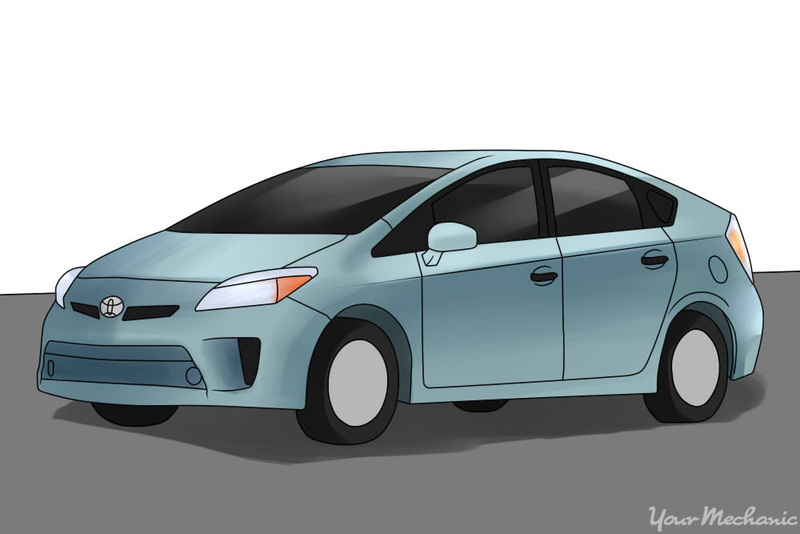 Q: Hello, I have 2007 Toyota Prius 135000, I have had it since 67000, do I need to replace water pump? Serpentine belt? maintenance?